Republican front runner for next President of the United States - Newt Gingrich - has done himself and his campaign great credit in branding the Palestinians as an invented nation. "Remember there was no Palestine as a state. It was part of the Ottoman empire. I think that we’ve had an invented Palestinian people who are in fact Arabs and who were historically part of the Arab community. And they had a chance to go many places, and for a variety of political reasons we have sustained this war against Israel now since the 1940s, and it’s tragic"
"The fact is, the Palestinian claim to a right of return is based on a historically false story. 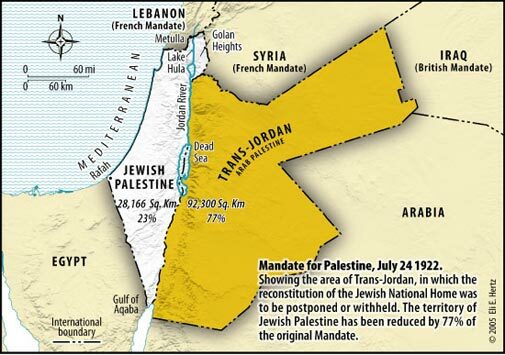 Somebody oughta have the courage to go all the way back to the 1921 League of Nations mandate for a Jewish homeland, point out the context in which Israel came into existence, and “Palestinian” did not become a common term until after 1977. This is a propaganda war in which our side refuses to engage. And we refuse to tell the truth when the other side lies. And you’re not gonna win the long run if you’re afraid to stand firm and stand for the truth." "The PLO was dreamt up by the KGB, which had a penchant for “liberation” organizations. There was the National Liberation Army of Bolivia, created by the KGB in 1964 with help from Ernesto “Che” Guevara. Then there was the National Liberation Army of Colombia, created by the KGB in 1965 with help from Fidel Castro, which was soon deeply involved in kidnappings, hijackings, bombings and guerrilla warfare. In later years the KGB also created the Democratic Front for the Liberation of Palestine, which carried out numerous bombing attacks on the “Palestinian territories” occupied by Israel, and the “Secret Army for Liberation of Armenia,” created by the KGB in 1975, which organized numerous bombing attacks against US airline offices in Western Europe. In 1964 the first PLO Council, consisting of 422 Palestinian representatives handpicked by the KGB, approved the Palestinian National Charter—a document that had been drafted in Moscow." The language used in the 1964 version of the PLO Charter was slick - designed to establish that “Palestine belongs to the Palestinians”. Who could possibly disagree with that motherhood statement - especially if it was repeated ad nauseum? "Article 6. The Palestinians are those Arab citizens who were living normally in Palestine up to 1947, whether they remained or were expelled. Every child who was born to a Palestinian parent after this date whether in Palestine or outside is a Palestinian. Article 7. Jews of Palestinian origin are considered Palestinians if they are willing to live peacefully and loyally in Palestine." Non-Arab Christians and non-believer residents of former Palestine were totally rejected as being Palestinians. Their descendants as well as the descendants of any of the Jews who had lived in Palestine since the beginning of the Zionist invasion were persona non grata in their homeland of their birth. If that seems like racism,smells like racism and is still contained in the PLO Charter today - then it is racism. "This Organization does not exercise any regional sovereignty over the West Bank in the Hashemite Kingdom of Jordan, on the Gaza Strip or the Himmah Area." Total rejection of international law by the Palestinians was also part and parcel of this invented nation - since the League of Nations in 1922 and the United Nations in 1946 had already recognized the legitimate right of the Jewish people to reconstitute the Jewish National Home in Palestine whilst the United Nations had admitted Israel as a member on 11 May 1949. The PLO’s stated intention of liberating and replacing both Israel and Jordan in the United Nations as its 192nd member still remains unrevoked in the PLO Charter. Seventeen years of fruitless PLO negotiations with Israel have now been virtually abandoned - with the two-state solution envisaged by the Oslo Accords and advocated by President Bush in his Roadmap now in its death throes. Gingrich’s message to the PLO is clear - return to the negotiating table and hammer out a deal with Israel or face the consequences if this has not happened and Gingrich becomes America’s next President.